1. Accordion fold card stock to fit inside of card. (The folds should be hidden when card is closed). 2. 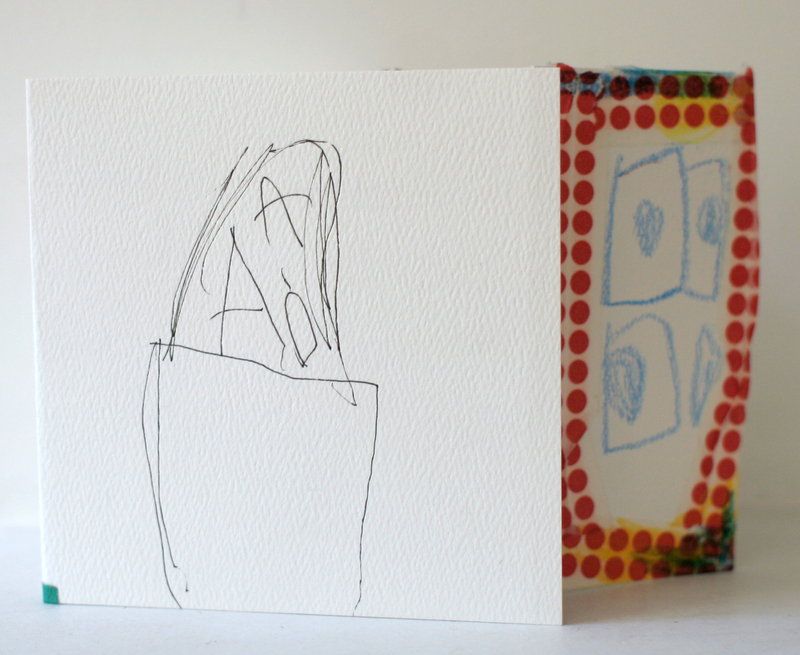 Tape accordion fold into open card. 3. 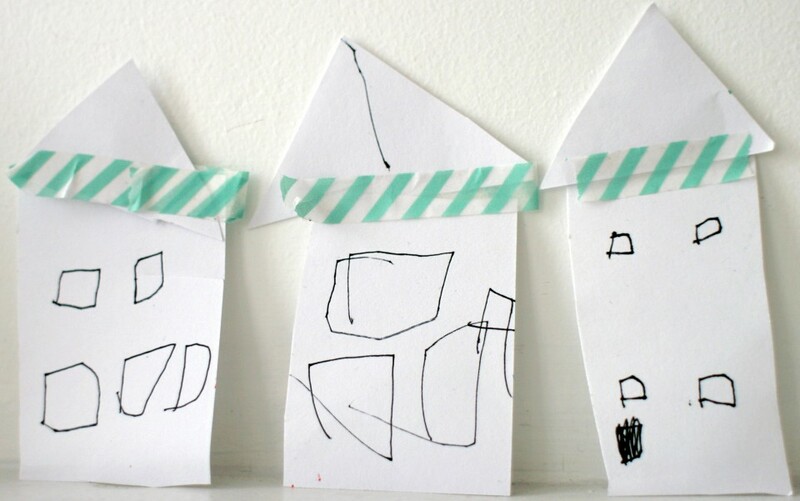 Using washi tape, make a house on each fold inside of card. 4. Using pencil or crayon, draw an arrow from the first house to the last house. Add windows, doors, chimneys, etc. 5. 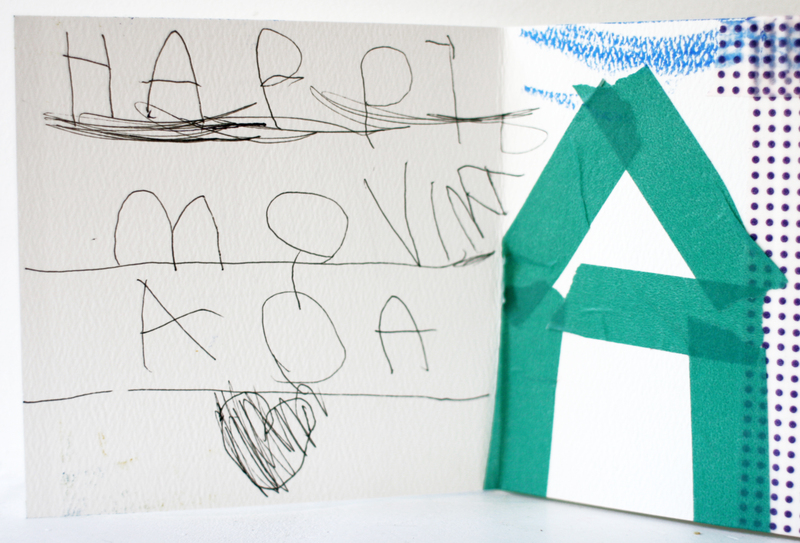 Write in your Happy Moving Day greeting. 6. Mail it to the new address!